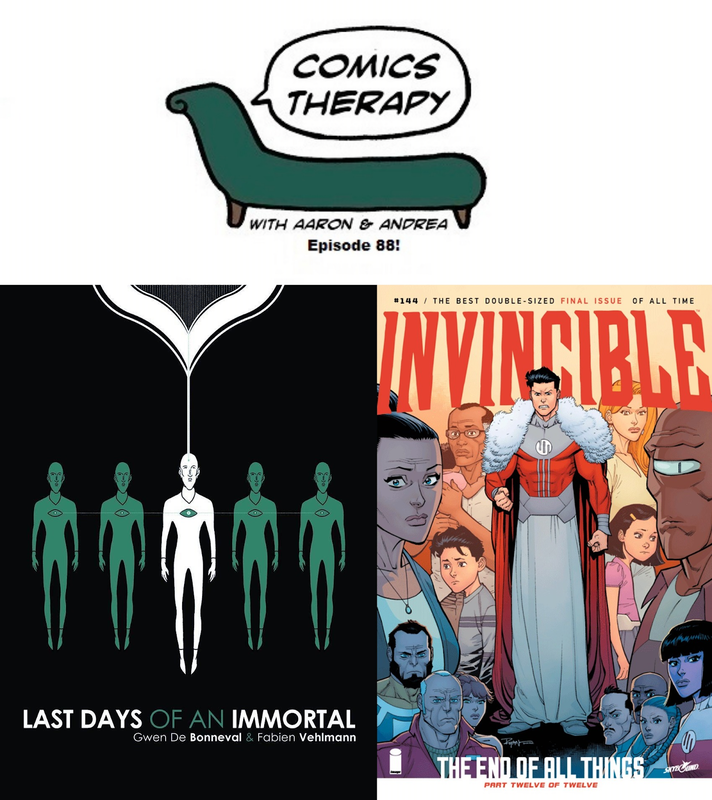 In this week's show we talk about life, death, and Aaron's determination to live forever to buy all the comics. We offer no apologies for our absence, make no promises on our regular return, and as usual, wax philosophical on the minutia you missed. Andrea will be at DiNK! this coming weekend if you want to say hi in person. Aaron will likely be at some flea market in Oregon acquiring yet more comics for his collection. Some things never change.